Let’s ignore it, it will go away! We located a WWII freighter that sunk in Maine waters in 1944. It has a commercial cargo worth a few bucks so we decided to pursue it. What we found out is it has over 7 tons of mercury on board. 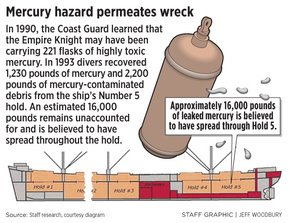 In 1992 or 93 the government dove the wreck and recovered the containers the mercury was stored in. They all had rusted out and the mercury had leaked out. They recovered the empty containers and about 10% of the mercury. The rest is still there. They also spent millions of dollars to do this…..
We contacted the state of Maine and spoke to several department heads about this wreck. We presented a plan. We would do a non-intrusive survey, come up with a plan to recover the mercury and dispose of it properly and recover the commercial cargo. Then we told them we would donate 25% of the profit to charity, 20% to Maine charities and 5% to help Haiti and others. That donation could amount to over 100 million dollars if our information is correct!! Sounded like a win win for everyone. Wrong! It has been 2 years since we first met with the state, we have spoken to Chellie Pingree’s office, numerous state senators and lots of people in between. No one will tackle this. We will, but the powers that be will not. Maybe sticking your head in the sand works for some things, but not this. 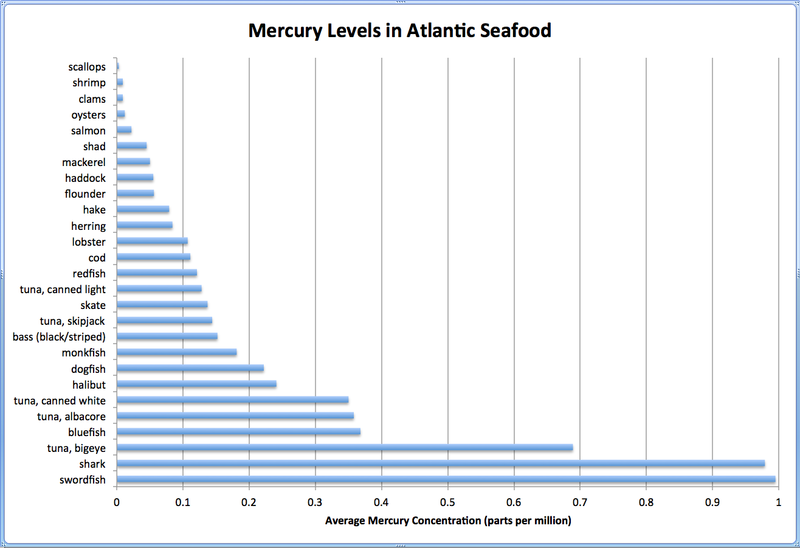 7 tons of mercury is one hell of a lot of mercury and mercury is toxic. Is it getting into our seafood? Polluting our waters? Poisoning our children? Should we bury our heads too? The people should speak out and they should listen. Call them and voice your concern. Come on Greg, look under the table, you will find an out stretched hand waiting for cash (in used bills). A really solid article, it’s a shame people think politicians are there to help, rather than use people for personal, political and financial gain.